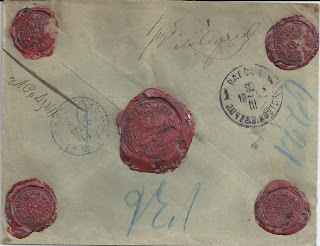 As I have Blogged previously, I think of postal history as the study of Who sent What to Whom and How. It's not uncommon to see pre-printed envelopes like the one above sent from Moscow in March 1903 and containing one rouble. 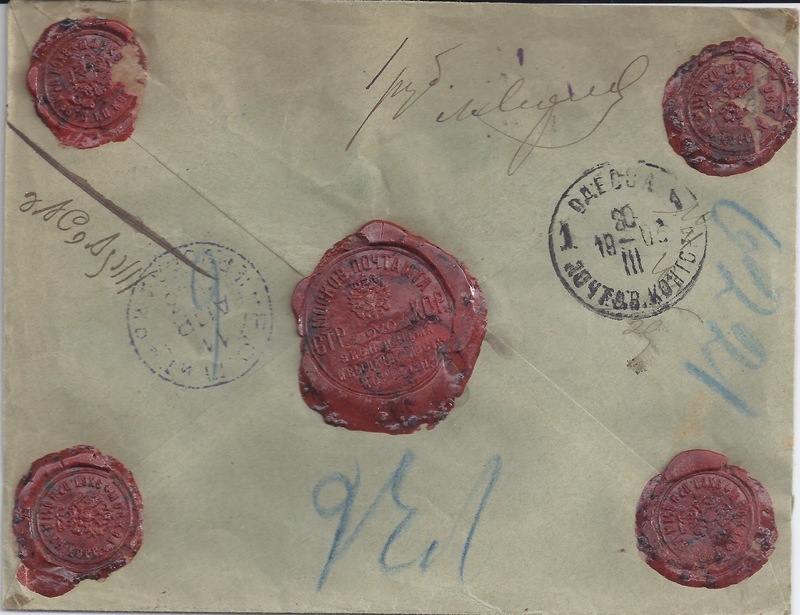 Sealed with five Moscow Post & Telegraph seals, this money letter transited through Odessa and arrived at the ROPIT post office in Jerusalem in April. It's obvious that the money is going to be some kind of donation. But only today did I Google and Wikipedia a bit and discover that it is a specific kind of charitable gift which is being made which goes under the name of Halukkah. Samuel (Shmuel) Salant was Ashkenazic Chief Rabbi of Jerusalem for over sixty years and as such he was responsible for collecting and distributing Halukkah relief funds. 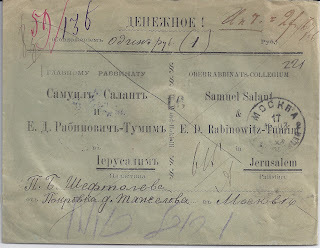 Salant was born in Byelostok in 1816 and died in Jerusalem in 1909. By 1900 he was blind and requested an assistant. 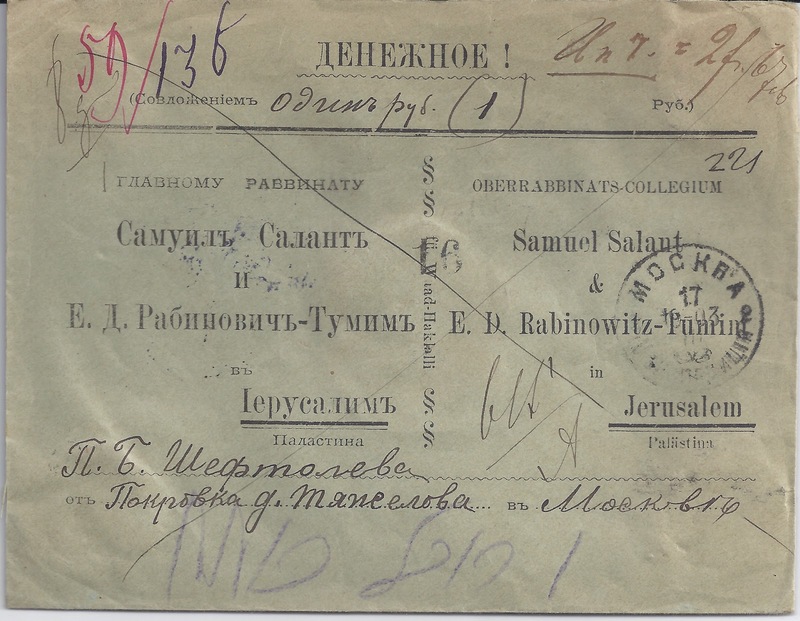 The person appointed was Rabbi Eliyahu David Rabinowitz-Teomin whose name also appears on the envelope. Earlier envelopes bear Salant's name alone. His assistant died in 1905. One could make a nice collection of these envelopes, noting the towns and cities from which they have originated and the amount of money they contained. And Google and Wikipedia make researching the background to such material much, much easier than it would have been even twenty years ago.